Migraines are a debilitating neurovascular disorder that affects 28 million people over the age of 11. The cause of migraines is not clearly understood although research indicates the expansion of blood vessels and the release of certain chemicals—such as dopamine and serotonin—causes inflammation and pain. Dopamine and serotonin are found normally in the brain. A migraine can occur if an abnormal amount of these chemicals are present or if the blood vessels are unusually sensitive to them. Patients who have migraines experience intense, throbbing, headache pain which is often accompanied by nausea, photophobia (sensitivity to light), phono-phobia (sensitivity to sound), and temporary disability. Migraines are sometimes preceded by an aura such as a breeze, odor, a beam of light, or a spectrum of colors. Migraines can occur on one side of the head (unilateral) and the pain is frequently reported as pulsating or throbbing. Treatment of migraine is divided into prevention and symptomatic relief. There are six categories of medication used to prevent migraines. These are blood-vessel constrictors and dilators (see Chapter 26), antiseizure drugs (discussed later in this chapter), antidepressants (discussed later in this chapter), beta-blockers (see Chapter 26), and analgesics (see Chapter 16). 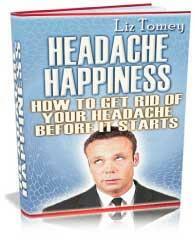 Patients are given a selected combination of these medications to prevent migraines. The prescriber determines the most effective combination for each patient based on the patient's response to these medications. Commonly prescribed medications to prevent migraines are amitriptyline, divaproex sodium, propranol, timolol, topiramate, bupropion, cyproheptadine, diltiazem, doxepin, fluvoxamine, ibuprofen, imipramine, and methysergide. Methysergide is particularly effective. However, there are side effects that might make this drug less tolerable. Bringing about symptomatic relief from the pain associated with migraines and other migraine symptoms is achieved by prescribing antiemetics (anti-nausea, see Chapter 18), ergot alkaloids and related compounds, NSAIDS (see Chapter 12), and other analgesic (nonopioids); opioids, and triptans (see chart). 2.5-5 mg dose with 2 hour repeats available PO and nasal spray; increased risk of drug-drug interaction. A list of drugs utilized in the treatment of migrane headaches is provided in the Appendix. Detailed tables show doses, recommendations, expectations, side effects, contraindications, and more; available on the book's Web site (see URL in Appendix).